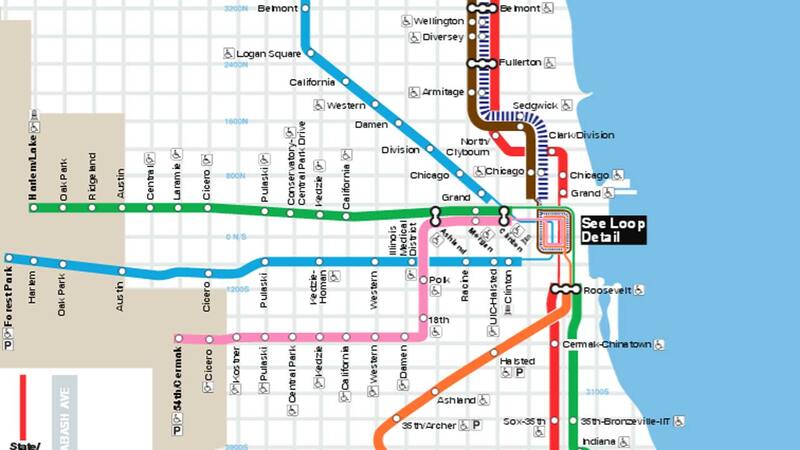 CHICAGO (WLS) -- CTA Green Line service is currently halted between 35th Street and Garfield stations due to police activity, a CTA spokesperson says. The Cook County Sheriff's Office says deputies attempted to serve a warrant on a domestic battery and aggravated assault charge in the 4800-block of Calumet. During this attempt, the sheriff's office says, the suspect displayed a handgun. The sheriff's office says it has now handed over the incident to the CPD SWAT team. Chicago police says officers are on the scene of an incident. Service has been halted between 35th and 55th streets. Shuttle buses are serving the affected stations.